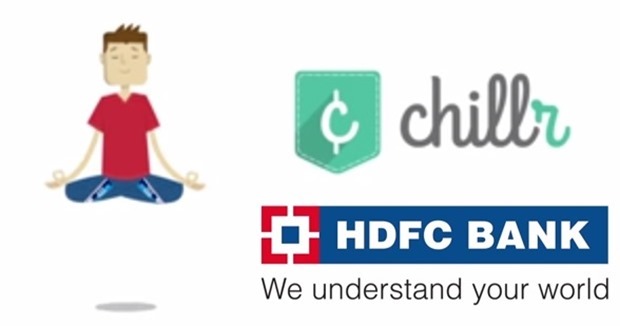 HDFC Bank has officially launched a mobile based money transfer platform enabled by a third party app: Chillr, using which their customers can send money to any of their phonebook contacts instantly. The best part about using this money transfer mechanism is that, there is no need to add beneficiary details such as bank account number, IFSC codes etc. HDFC customers can simply select their phonebook contact to whom they want to send money, enter the amount and done. The money would be transferred instantly, 24 hours a day. 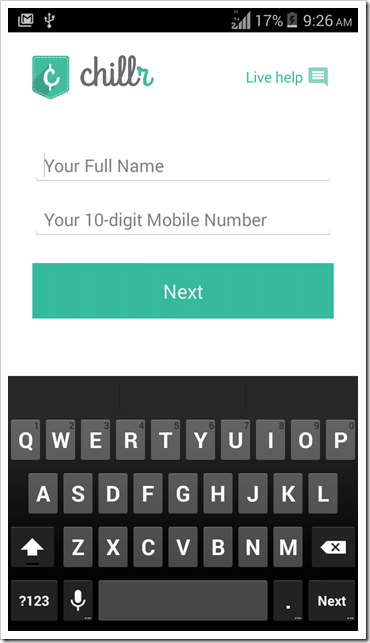 The app also offers an option wherein users can send money without sharing their mobile numbers. Using GPS positioning, the app will discover near-by users, and instantly facilitate money transfer without the need of even adding them in their phonebook. As of now, only Rs 1000 can be transferred at a time, daily limit has been set at Rs 25,000. 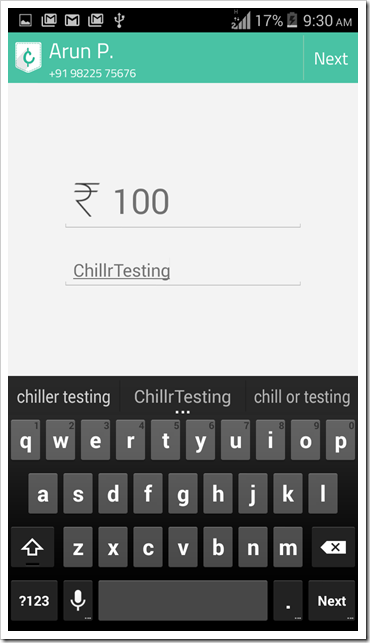 Step 3: Install Chillr from Google Playstore. It will be soon available on Apple Store & other platforms as well. And once entered, it will send an OTP for verification. To send money, you will need to tap on “Pay” and then select the phonebook contact to whom you want to transfer money. In case you enter incorrect MPin, the transaction would be cancelled, and you will need to again initiate the transaction with the new MPin. Other services such as prepaid recharge, bill payments etc would also be launched on this platform. Chillr is a mobile app startup based in Cochin, founded by Sony Joy. 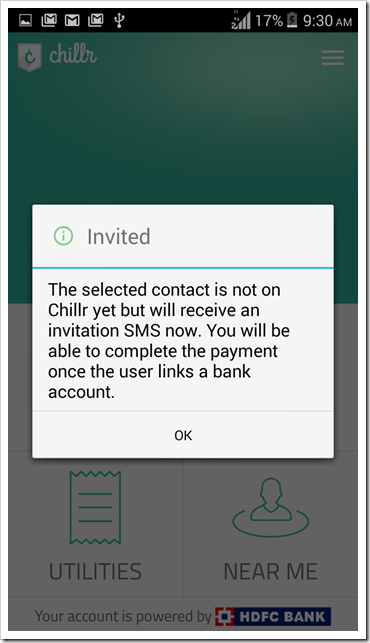 HDFC Bank is their first partner in soliciting mobile based money transfer service, and it seems that its an exclusive partnership as Chillr is not yet available for any other bank user. Here are few videos which describe the functionality and features of Chillr; and explains why it has the potential to become one of the favorite apps for money transfer. You can also find answers to most commonly asked question related with mobile app payment service here. In our initial test, the app functioned flawlessly, and the interface seems smooth, and laser targeted. If we observe the functionality and user-friendliness, then it can be a good competitor to Kotak Mahindra’s KayPay and ICICI Bank’s Twitter and Facebook based payment platform. Additionally, it can always complement HDFC’s own digital wallet, which they recently launched. In case you are using Chillr, then do share your experience by commenting right here! 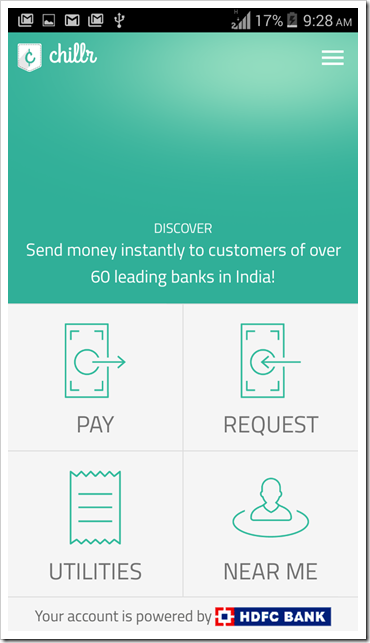 "HDFC Bank Offers Instant Multi-Bank Money Transfer Through Chillr App", 5 out of 5 based on 1 ratings. Yay! Budget Likely To Propose Service Tax & Excise Duty Exemption For Startups!